When time is of the essence, it’s tempting to pack in as much as you possibly can. If you only have a week to explore Ireland, then you won’t have enough time to see it all. But you can certainly see a lot in 7 days! 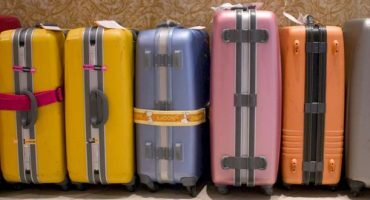 Here are some ideas to help you plan your trip itinerary to the Emerald Isle, when you only have a week. Ireland may not be that big, but it certainly feels like there’s a lot of land to cover when you start to research and plan your trip there. Most travelers will touch-down on flights to Dublin and spend a couple days exploring the capital before setting off into the countryside with a rental car to see the country’s castles, green pastures, sheep (so many sheep! ), dramatic coastlines and ancient stone ruins. 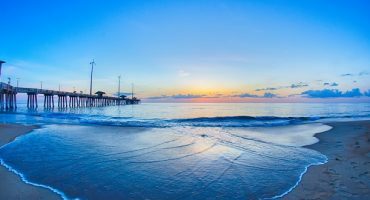 If you’re looking to spend about a week here, these are a few of the essentials and some suggestions on what order to see them in to make the most of your time. Spend the day getting your bearings. 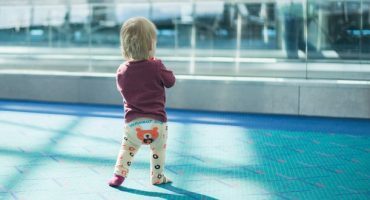 No doubt you’ll arrive jet-lagged from your flight and will need to get some fresh air to help your “body clock” adjust to its new time zone. 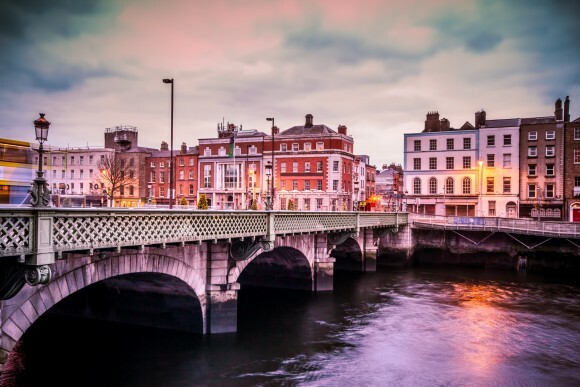 Drop you gear off at your Dublin hotel and start exploring the city. St. Patrick’s Cathedral and Trinity College, where the Book of Kells is located, are two spots you definitely won’t want to miss while you’re in Dublin. In the evening, celebrate your arrival with a pint of beer at a pub in Temple Bar. 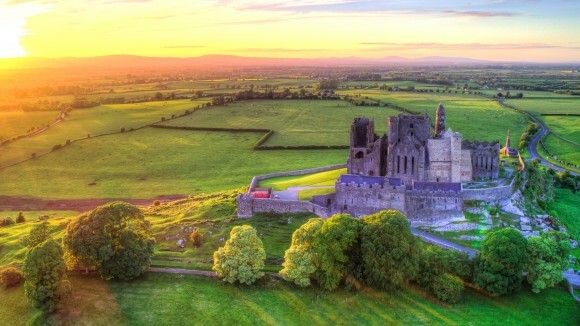 Next stop on your Ireland tour should be the Rock of Cashel, one of the most impressive historic sights in Ireland. Think emerald-green hills, limestone rocks cropping up out of the ground and an impressive 13th-century Gothic cathedral and the most gorgeous 12th-century Romanesque chapel in the middle of it all. If you have time, stop at Cahir Castle or Blarney Castle on your way to Cork. Blarney Castle may be very touristy, but this 15th-century castle does have plenty of charm and people from all over the world come to kiss the famous stone. 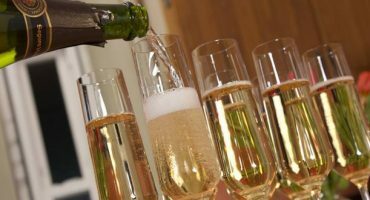 End your day by arriving in Cork for the night. Cork is a busy city and you’ll definitely find cheaper accommodation here than in the countryside. Don’t miss the English Market, which claims to be Ireland’s most famous covered market. It’s a good spot to grab some food before heading out of the city to Kinsale. 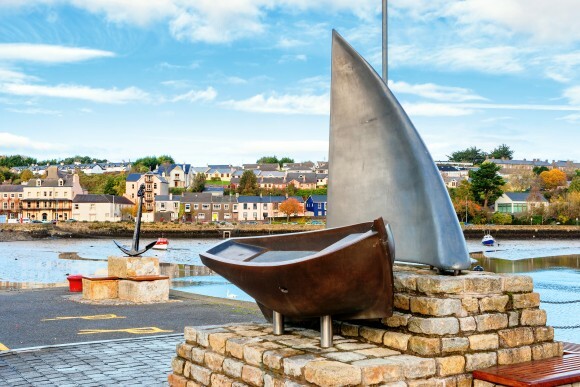 Kinsale is a foodie paradise is located just outside of Cork and is a charming little harbor town with a couple of old forts. There’s a reason why they call this place the “Gourmet Capital of Ireland” so don’t miss some authentic Irish food at one of the restaurants in the town center while you’re here. From Kinsale, it’s off to Killarney, the start and end of the famous Ring of Kerry. 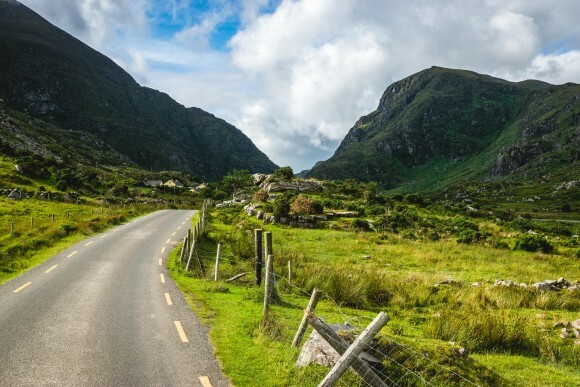 This 100-mile drive will take you all the way around County Kerry and is absolutely stunning, so fingers crossed you have some good weather while you’re here. The drive will take you through Killarney National Park, among other places like Muckross House and Gardens, Lough Leane, Ross Castle, Torc Waterfall and Ladies View (amazing view of the park). Quickly read up on these before you go so you know which ones you’d really like to stop at. 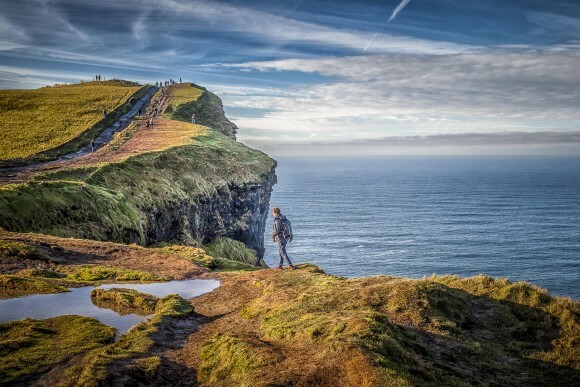 The Cliffs of Moher is one of the most popular attractions in Ireland, and for good reason. The vertical cliffs rise to a height of 700 feet above the Atlantic Ocean. On a clear day, you can see across to the Aran Islands. Drive north for 15 minutes from the cliffs to visit Doolan Cave, and see the longest free-hanging stalactite in the Northern Hemisphere! If you have time, it’s worth catching the ferry from the town of Doolan to the Aran Islands, if only for the day. The islands are known for their traditional Irish music and a more traditional way of life. The ferry is 45-minutes and takes you to Inis Mor, the biggest and most visited of the islands. Either catch the ferry back at the end of the day, or stay overnight in a B&B. 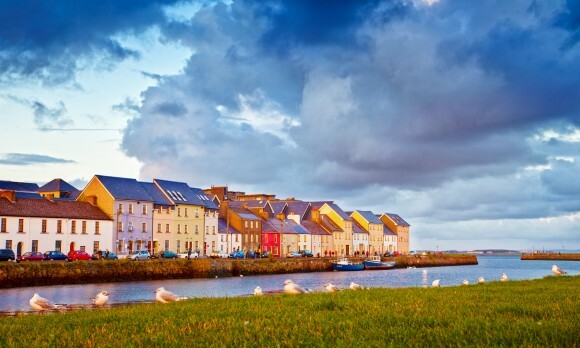 Galway City is a nice city to visit as a way to end your trip before heading back to Dublin. The city boasts great food and pubs, which tend to be more atmospheric and what you’d expect in rural Ireland than what you find in Dublin. Even better if you find one with live music playing on the night you’re in town! On your way back to Dublin, take a detour to Brú na Bóinne, an UNESCO World Heritage Site and pre-dates the Egyptian pyramids! 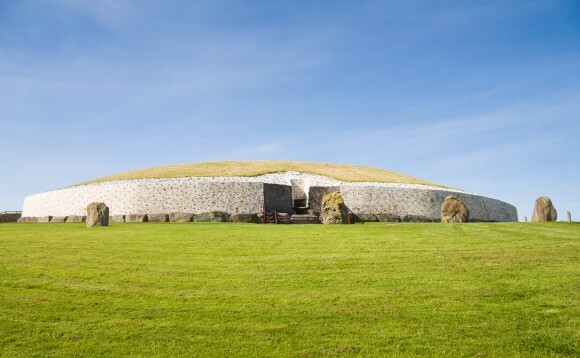 Explore chamber tombs, mounds and standing stones from the 35th century BC. If you have more time in Dublin before your flight, visit the National Botanic Gardens, a 15-minute drive south from Dublin Airport.